Last week we discussed how vitally important it is to have liquid water on a planet’s surface in order to support life. But there is another possibility—another route to life might exist. Europa, Jupiter’s 6th moon, is slightly smaller than our moon and is covered in ice. But what is really unusual is how smooth its surface is—very few craters and mostly covered with streaks and cracks. This has led scientists to hypothesize that beneath all that ice are oceans of liquid water. Europa receives very little energy from the Sun, so how does it generate enough heat to keep its oceans from freezing solid? It turns out that Jupiter interacts with its moons Io, Europa and Ganymede in such a way as to distort their orbits into more elliptical shapes, and this causes tidal flexing which heats Europa’s interior similar to how squeezing a ball of clay will heat it slightly. 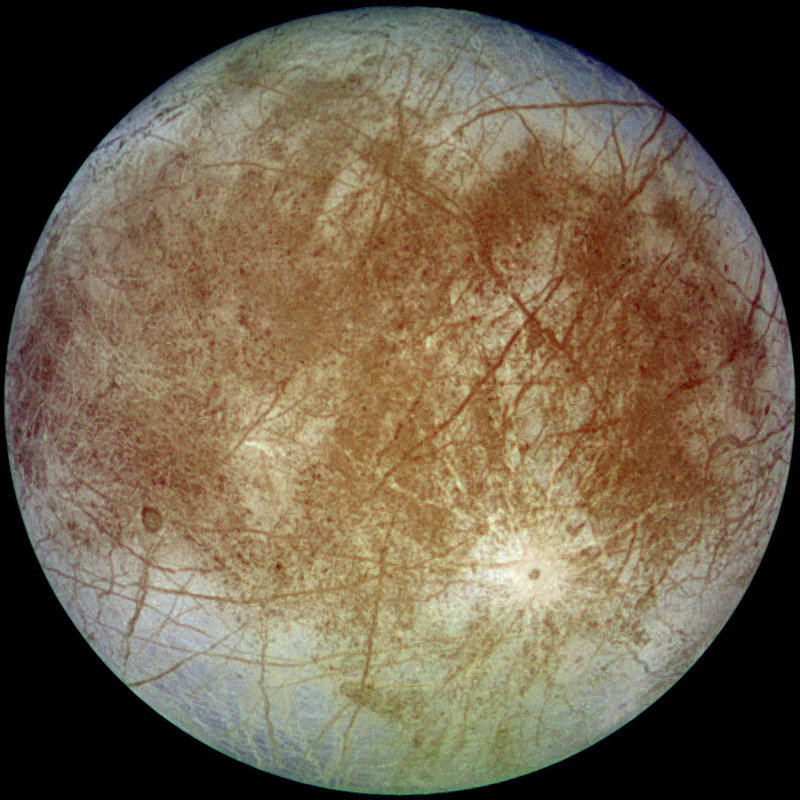 The question is whether this is enough to give Europa a liquid ocean of water under its icy crust. Assuming Europa does have liquid water, what is the chance that it might also have life? We might be closer to answering that question than one would think. Surprisingly, there is a place here on Earth that has similar conditions: Lake Vostok. Lake Vostok is a subglacial lake located 4,000 meters below the surface of Antarctica and has more fresh water than Lake Eerie and Lake Ontario combined. It has been isolated from the rest of the world for 14 million years and there is a team of Russian scientists that have been drilling through the ice off and on since 1990 and they are currently within 100 meters of breaking through the ice. Once through, they will sample the water with the hope of finding extremophiles—organisms that thrive in extreme environments. If they do find life, it will reinforce the case for extraterrestrial life and no doubt help shape theories on the nature of life in our universe. 1) True or false: Lake Vostok is the largest subglacial lake on Earth. 2) Which of the following is not one of Jupiter’s moons? 3) True or false: an organism that thrives in severely hot or cold environments would be called an extremophile. 4) Lake Vostok lies beneath the surface of ______________. 5) The mechanism that heats Europa’s interior is called ______________.